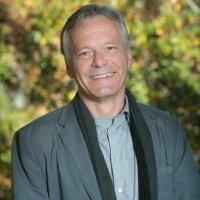 Dirk Philipsen is an Associate Research Professor of Economic History at the Sanford School of Public Policy, and Senior Fellow at the Kenan Institute for Ethics at Duke University. His work and teaching is focused on sustainability and the history of capitalism and his most recent research has focused on GDP as the dominant measure of success in U.S. and international economic affairs. His work also includes historical explorations of alternative measures for wellbeing. Raised in Germany and educated in both Germany and the United States, he received a BA in economics (College for Economics, Berlin, 1982), an MA in American Studies (John F. Kennedy Institute, Free University Berlin, 1987), and a Ph.D in American Social and Economic History (Duke University, 1992). He has taught at Duke University, Virginia Commonwealth University, and Virginia State University. For ten years, he served as Director of the Institute for the Study of Race Relations at Virginia State University, which he founded in 1997. In 2001-2002, he served as one of the lead authors in generating a new shared governance constitution for Virginia State University.